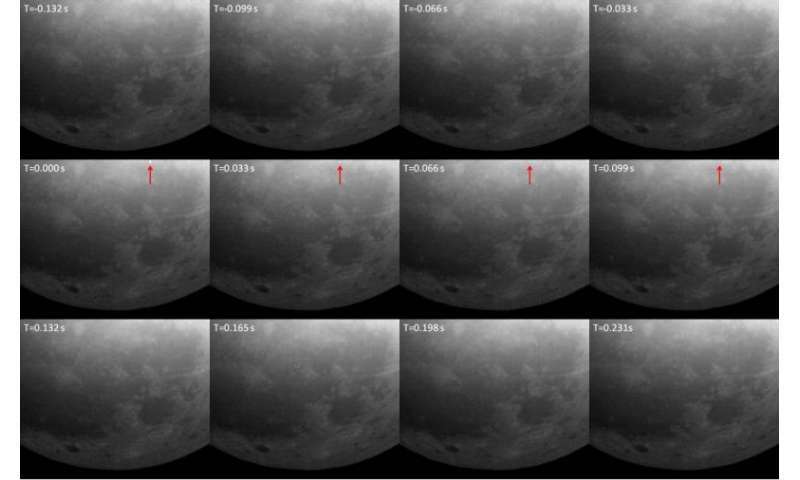 "Our twin camera system allows us to confirm lunar impact events with a single telescope, something that has not been done before. 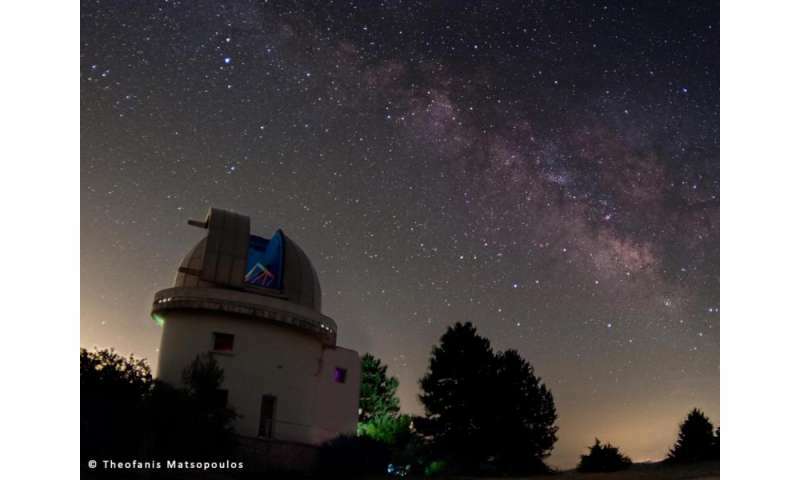 Once data have been collected over the 22-month long operational period, we will be able to better constrain the number of NEOs (near-Earth objects) in the decimetre to metre size range. "These observations are very relevant for our Space Situational Awareness programme. In particular, in the size range we can observe here, the number of objects is not very well known. Performing these observations over a longer period of time will help us to better understand this number," says Detlef Koschny, co-manager of the near-Earth object segment in ESA's Space Situational Awareness programme, and a scientist in the Science Support Office. "We are currently training two PhD students to operate the Kryoneri telescope and conduct lunar monitoring observations," says Alceste. The observed flashes are most likely from electrical discharge, not impact. The fine lunar surface dust is from the disintegration of any object, small or large, when it gets close enough to the surface. Even the largest craters are from a discharge event, but without functioning seismic sensors on the Moon, this can not be confirmed. The sensors on the Moon delivered by the Apollo crews found the Moon to be seismically silent. a discharge is not going to produce an impact type shock. The seismographs carried by Apollo were not sensitive enough to pick up the impact of a meter-sized object more than a kilometer away. They were designed to listen for crustal movements and magma, since that was the only type of seismic detection that they knew how to do at the time.